Posted on March 10, 2013, in Uncategorized and tagged breeding, digestive system, ecological standpoint, feed, food, Genetically modified foods, GMO, health, intestinal health, meat rabbits, natural, natural feed, natural food for rabbits, natural immune system, nutrition, plants, Roundup, safe, Small litters, stress and health problems, vegetables. Bookmark the permalink. 25 Comments. I feed Blue Seal Hutch 18 which probably has GMOs. I’ve looked into getting organic feed but haven’t found any close enough to be financially viable. Last summer, I had a terrible time trying to get does to breed and kindle. I wonder if the food was a factor. I finally got a litter this winter and hopefully have some on the way. I have to say, the use of GMO crops outside of the laboratory really bothers me. I tend to agree that it can have more widespread and longer lasting negative effects than is generally admitted to. I developed a rabbit tractor and pasture my rabbits and want to work towards growing most of their feed here and also breeding hardier meat rabbits. That won’t eliminate the possibility of GMOs from their diet, but it will definitely reduce it considerably. I raise chickens too and am working away from prepackaged feed there too, but it looks like I will be dependent on purchased grains including GMOs for the next few years. For our family, we have eliminated a lot of the GMOs from our diet just by staying away from prepackaged foods, but it is pretty close to impossible to eliminate all of them and potential cross contamination completely. It’s hard to believe we can’t even get labeling in the US, at least not yet. I believe it is coming though. Is there any rabbit food out there that does not have anyGMO’s in it? Commercially ? We also raise chickens and there is a Amish grainary that will run GMO free chicken food I have to get a minimum of 500 pounds but he only charges $1.00 extra for a 50 pound bag. Wish he could make rabbit food. I can not find any non GMO rabbit pellets in my area. There are some feed companys out there working on it. But I do not know of any. Any one out there got some names? You can get organic feed from countryside organics 30 dollars per 50 pounds, but then you have to pay shipping. Wow, that is expensive! But not knocking the feed company. I do not think any feed company makes bad feed on purpose. Yes, it is expensive. Sorry I couldn’t comment on your comment of my comment. lol. I wouldn’t have a problem paying it but the shipping really kills the deal. I did buy one bag, and will say the rabbits much prefer it to the other stuff from the store that I had bought. That should not be surprising though. 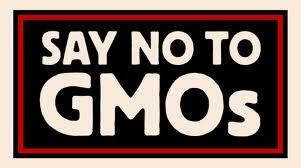 there are many studies where animals will prefer non-gmo/organic over gmo crops. I hate GMOs. I take your approach right now Rick with all my animals. Feed scraps and forage as much as possible and bagged feed when necessary. I get a lot of hate for that. People on Facebook demonizing those of us who have to use bagged feed. Yes I’m not going to pay $50 for 40 pounds and then have to pay shipping as well. Fewer GMO’s is better than giving up in my opinion. I agree, I have been downsizing so I can feed just homegrown feeds but as long as I can get pellets will use them until I have a few rabbits. I so agree, better to get it local. I think you bring up some very good points. I hate the idea of GMO’s in my rabbit’s feed but I don’t see what choice I have? I feed Purina Show & have had good luck with it. As for our family, I buy mostly organic food & will venturing into the meat rabbit world this summer. Thank you for your insightful article, loved it. Wow, this is eye opening info. I knew about GMOs, but hadn’t heard about the alfalfa. Sigh. Thank you for your research efforts and sharing! I recently decided to go ahead with my pursuit of bunny happiness and wanted to be sure to feed the best, freshest, most nutritionally dense and satisfying feed to my rabbits. I looked all over for ‘real’ feeding advice, knowing pellets aren’t natural or the most self-sufficient option. I’ve found people to almost seem afraid to stray from the new ‘norm’, as if the companies telling us their product is the only responsible thing to feed our animals and no one wants to stand out as not having their animals best interest in mind. Thanks again for your effort of research, I’m content now that I can provide a safe, nutritious and enriching diet for my rabbits. No pellets! Feed your rabbits fodder! I feed my Flemish Giants and American Fuzzy Lops and meat rabbits AND CHICKENS alll fodder. No more GMOs and it is less than half the cost! I have been researching for pasture fodder, and I got over my fear of clover with whitecloversheepfarm.com. I had been worrying about the estrogen and he hasn’t had any problem- out of 250 ewes, only two came out not pregnant. So i am collecting my seeds (I am waiting on money to buy a second controller for my 2000 watt solar sytem so i can run water for a decent number of hours daily). Until i do that I can’t even try to grow pasture. But I am still mulching and manuring and putting down dolomite (magnesium and calcium) and gypsum, and glacial rock dust. If you notice about glyphosate making fewer nutrients available, that is KEY to how glyphosate works, it binds minerals, and guess what crops need the most? Minerals! And guess what can survive really well on low or imbalanced minerals? Weeds! But we are encourging weeds that are nutritious and do well in balanced minerals- lamb’s quarter, dandelion, prickly lettuce. I also like bindweed- farmers with tractors hate it, but I just say “rabbit food!” I also have volunteer mallow, they like that too. Just saw this comment series and wanted to let it be known the difference between non-GMO and organic. Organic: No pesticides or chemical agents used in the growing or harvesting processes. HERE IS THE KICK TO OUR SHINS! I will make my point through a question. Can GMOs be grown Organically? If GMOs are grown organically can we call them “Organic”? Organic growing practices are at the top of the list, but still comes second to the need to buy non-GMO. Be a good neighbor and ask your neighbor if you can care and cut their lawn. Make sure no chemical fertilizers are used. Collect clippings from the lawns and your garden; vwah-la rabbit feed. Need a place to get non-GMO and organic seed for your garden? Oh boy, the lawn clippings! Round Up has been used on lawns for a long time, I finally made a decision not to accept lawn clippings because of the danger of the Round Up. I am feeding mine fodder and forage right now, along with GRASS hay. I am experimenting with red clover as an alternative protein source to alfalfa. There is also bush willow which has a similar protein level to alfalfa. I am cutting and drying my own grass hay during this summer. I don’t know if I can put up enough to get them through the coming winter or not, but we will see. I feed my bunnies Sherwood Forest brand that I buy on amazon. No soy, but the main ingredient is alfalfa. IDK if it is GMO, but it’s the best brand I’ve found so far. If anyone has any suggestions, please let me know. I’m in school full time and don’t have time to make my own bunny food right now. Maybe when I graduate I can, but not feasible right now. I have seen and used Sherwood Forest! I agree this is good stuff!